A vintage black glass button gleams on antiqued brass-finished metal. 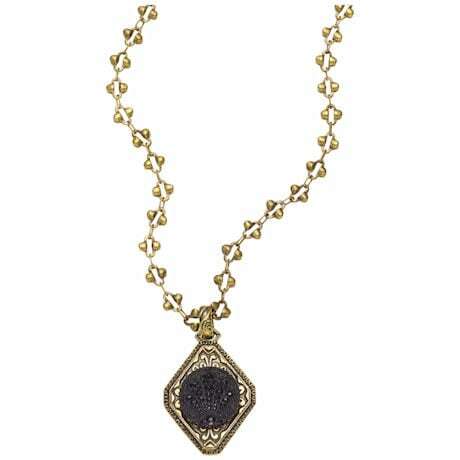 Diamond-shaped 1" pendant hangs from an ornate 17 ½" chain that secures with a lobster claw clasp. Buttons date from the late 1800s, so no two are alike.